Israeli troops began moving to the Gaza border as soon as the air campaign started. To make sure enough troops were going to be available to the military commanders, at least 10,000 reservists were called up for duty. 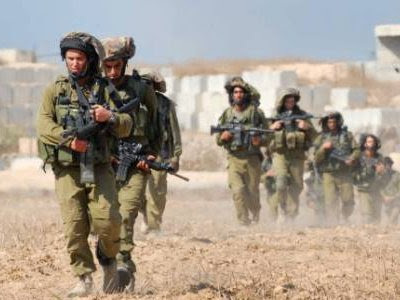 Israel committed about 175,000 troops to the mission in Gaza. The primary units for the operation were detached from other commands in the country and assigned to the southern command for Operation Cast Lead. The 1st "Golani" Infantry Brigade was detached from Northern Command, and the 35th Paratroop Brigade was detached from Central Command. The 84th "Givati" Infantry Brigade is an integral part of the Southern Command. The 36th Armor Division came from Northern Command. The order was given to move into Gaza on January 3, 2009. The initial thrust was made by the 36th Armor Division to cut the Gaza Strip into two sections, effectively separating Gaza City and its neighboring refugee camps in the north from Rafah and the Egyptian border area in the south. This isolated the rocket launch areas in the northeast corner of the Strip from the resupply tunnels in the south. According to officers from the 36th, they met little resistance in their move from the Israeli border near Nahal Oz to the Mediterranean Sea. Although they had been warned that Hamas had received the Konkurs (NATO designator AT-5 Spandrel) antitank guided missile, they did not encounter any on their operations. 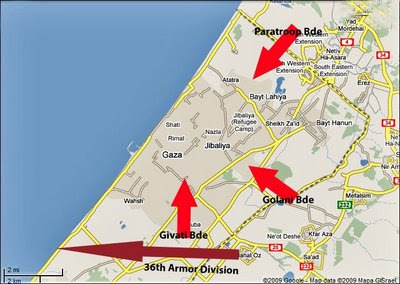 As the 36th was bisecting the Gaza Strip, the three infantry brigades moved towards Gaza City. The initial moves were into the rocket launch areas in the northeast part of the Strip. Despite the presence of Israeli infantry from January 3 until January 18, Hamas was still able to fire rockets at Israeli cities. The three brigades approached Gaza City from three sides: the Paratroop Brigade from the north, the Golani Brigade from the east and the Givati Brigade from the south. Hamas generally faded back as the Israelis approached, not wanting a direct fight with the better-equipped and trained Israelis. The Israelis moved slowly but deliberately, using combat engineers to clear numerous obstacles and improvised explosive devices. Hamas resistance intensified as the Israelis approached more built-up areas. Ten Israeli soldiers were killed in the ground campaign, and about 500 were wounded. Israeli military intelligence claimed that Israeli troops had killed 600 Hamas members whom they could identify by name. They suspect that many more of the dead were members of Hamas as well. They also believe that they were able to destroy over half of Hamas's rocket inventory. Of course, the tunnels that were closed by Israeli Air Force bombs during the campaign were back in operation just two days after the ceasefire. Israeli Prime Minister Ehud Olmert announced a unilateral ceasefire was to go into effect at 2:00am on January 18, 2009. Hamas did not call a ceasefire until January 20, but this was just bravado - they had taken a horrendous beating at the hands of the IDF and were glad for the respite. There had been a vigorous debate over the modality of the ceasefire. (See my earlier The Israeli debate over what to do now in Gaza.) In the end, the position espoused by Foreign Minister Tzipi Livni was adopted. Livni felt that a unilateral ceasefire and withdrawal on Israel's terms was the best route since an agreement would limit only Israel - Hamas will not live up to its commitments in any case. Israeli forces in Gaza did more than kill several hundred Hamas members - it restored deterrence as a cornerstone of Israeli policy in the region. That sense of deterrence was lost in 2006 when the Israeli political leadership failed to allow the IDF to win a decisive military and political victory over Hizballah. Certainly the IDF prevailed on the battlefield, but the impression was created of a country that lacked political will to use its power. That impression is gone. 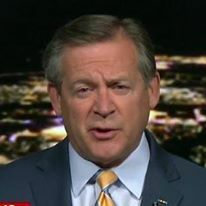 The Hamas leadership has already stated that based on Israel's action in 2006, they assumed there would be some retaliation for the rocket attacks, most likely some airstrikes, but nothing on the order of the three-week campaign. Israel has been criticized in some media for a "disproportionate response." Most journalists do not understand the definition of disproportionate response. The term refers not to the level of violence nor is meant to be a measure of how many lives were lost on each side. If a Palestinian kills an Israeli, is Israel supposed to kill only one Palestinian in response? Of course not. Disproportionate response is the use of greater force than required to achieve an objective. For example, destroying an entire apartment complex to kill a sniper in the roof is disproportionate. I believe that it will be some time before Hamas again challenges the Israelis, but it will at some point. How long that is depends on deterrence and Israel's ability to focus international efforts on preventing Hamas from re-arming via the tunnels from Egypt. The "Gaza problem" has not been solved, just deferred. For the residents of Sderot who endured thousands of rocket attacks since Israel left the Gaza Strip in 2005, that may be enough.